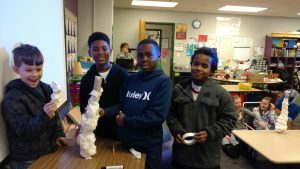 Winter team-building was happening in Mrs. Tighe’s 5th Grade classroom today! 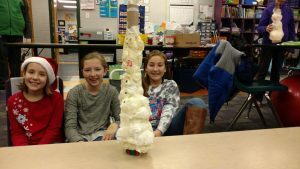 Students received a roll of masking tape and a roll of toilet paper and were challenged with the task of building the tallest snowman. 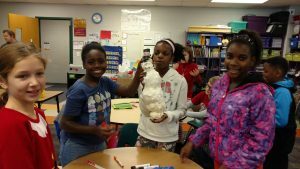 Students worked together and created some amazing snowmen. 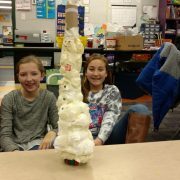 Have fun with your family and try this at home this winter break! 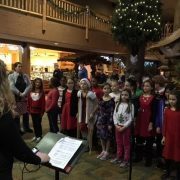 https://wjccschools.org/djm/wp-content/uploads/sites/15/2016/12/IMG_20161221_093647673_TOP-e1482336862449.jpg 211 375 Amy Mabe https://wjccschools.org/djm/wp-content/uploads/sites/15/2014/05/logo.png Amy Mabe2016-12-21 11:03:302016-12-21 11:14:57Do YOU Want to Build a Snowman? 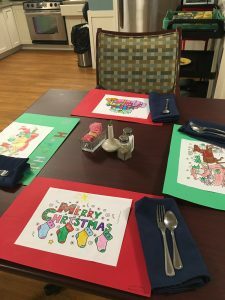 Living to use and enjoy during their Holiday Dinner. Thank you for the kindness you showed. Way to go, Mustangs! 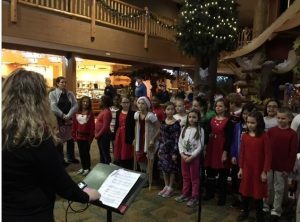 Congratulations to our 4th and 5th Grade Chorus students who performed on Thursday and Friday (December 15th and 16th) at Great Wolf Lodge. Your voices were just beautiful and the performances were enjoyed by all. Thank you, Mrs. Rapach for a wonderful show. Thank you to Mr. Garris and Mrs. Hines for a wonderful Instrumental Show for our students and faculty at DJ on Friday, December 16th. What fine musicians we have here at DJ! 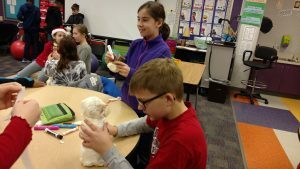 Math and Science at D.J. 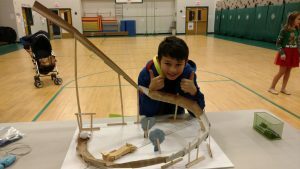 Thursday, December 8th was a day and night filled with math and science here at D.J. Montague! 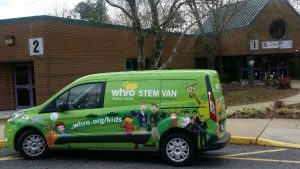 Students participated in the STEM Van through WHRO and PBS. 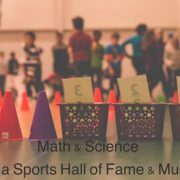 Others participated in wonderful math activities from the Virginia Sports Hall of Fame and Museum, funded by a our PTA mini-grants. Thank you PTA for providing for this event and thank you, Mrs. Tighe for writing the grant to benefit all of DJ. 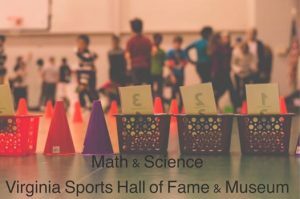 https://wjccschools.org/djm/wp-content/uploads/sites/15/2016/12/VA-Sports-Hall-of-Fame-and-Museum.jpg 349 526 Amy Mabe https://wjccschools.org/djm/wp-content/uploads/sites/15/2014/05/logo.png Amy Mabe2016-12-19 10:12:462016-12-19 10:12:46Math and Science at D.J. 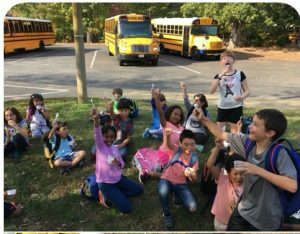 Mrs. Gilbert has begun a new bus behavior program to help ensure that all students that ride the bus are making safe choices to and from school each day. 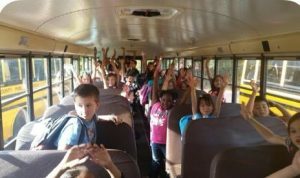 Bus Drivers rate the students’ behavior on their bus bi-weekly. 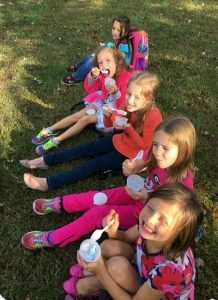 Bus 2 was October’s Winner for Best Behavior and received an ice cream party after school. 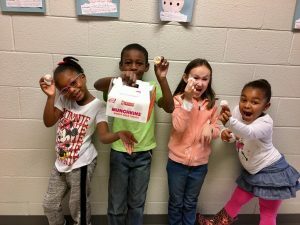 Bus 8 was the Most Improved Bus for the month of November and received a donut party before school. Keep up the great work, Mustangs. Click here to see the rating scale used by the bus drivers each month. The holiday season is upon us! December is a busy month at school as well as at home, I am sure. In spite of the hustle and bustle of the season, I hope that school will remain a focus. With about three weeks before the winter break begins, there is time for a lot of learning. Thank you for your participation in the recent parent-teacher conferences. The teachers enjoyed meeting with you and learning more about your child. Please be sure to contact your child’s teacher with any concerns that arise. Working together will help your child succeed. We value our partnership with you and your support of your child’s learning. Thank you also for your feedback regarding the new homework/no worksheet initiative. I appreciate your candid comments and suggestions. Ninety-five individuals have responded to the survey. It is not too late if you would like to do so! Here is the link to the survey: https://www.surveymonkey.com/r/CM2YJC3 The results will be shared with the Leadership Team, and we will discuss next steps. You may have noticed the green receptacles in the parking lot adjacent to the shed. D.J. is participating in the Clothing to Cash Recycling Program. Help our school raise money by donating new or used clothing, shoes and sneakers, and towels and sheets. We are accepting items in all conditions; all items will be reworn, repurposed or recycled. 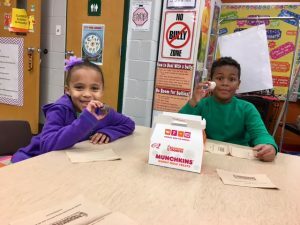 Save our environment and support our school with your donations. This year our Student Council Association is sponsoring The 12 Days of Giving. If you haven’t already, you should be receiving a flyer about this in the Thursday folder. Beginning today and continuing through December 16th, each day is designated as a special day. If you would like to help, your child can bring in items on any of the days. (It is OK if an item is not brought in on the designated day. The days were identified so that we would be able to provide a variety of items.) This is a wonderful opportunity to show our children the joy of giving to others. Thank you in advance for your donations. With your help, we can make this another memorable holiday for some D.J. Montague students and their families. Below is the list of days. The flyer is posted on our website with suggestions for each day. Here are some important dates to remember. Happy Holidays from the D.J. Montague Family to yours.